Another great piece by the French designer Louis Prodhon. Made during the Art Deco period the rectangular wooden base has ebonised sides and two polished aluminium grooved and curved metal holders with spheres that hold the two pieces of glass. 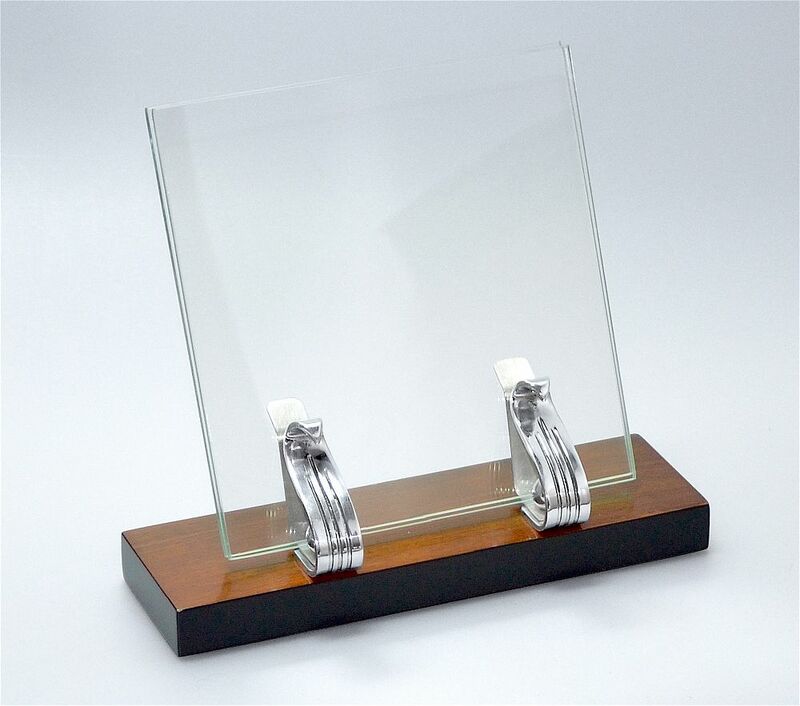 These slot into the holders at an angle and the photograph is inserted between the glass. 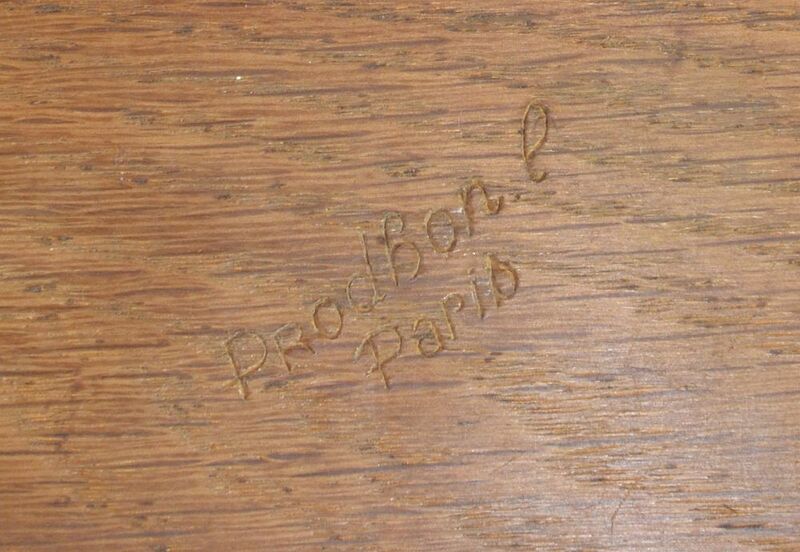 The underside of the base is signed "Prodhon L Paris". Very stylish and very useful even in this age of digital photographs! Insert your favourite Art Deco postcard or picture.